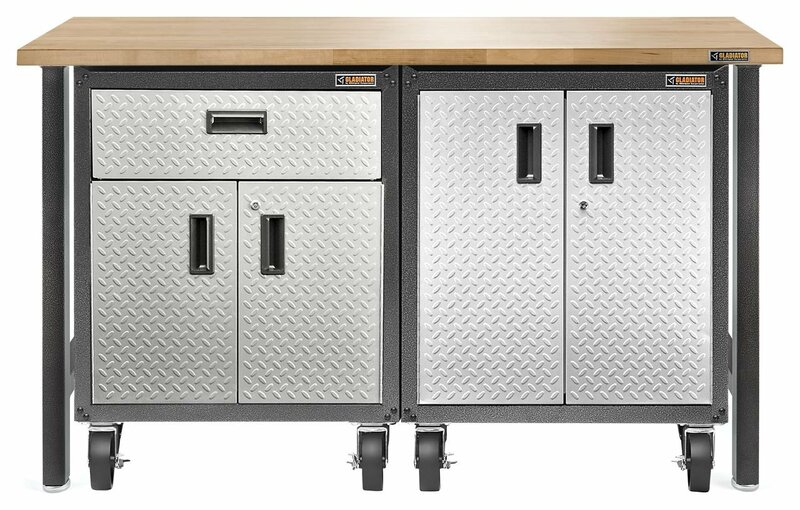 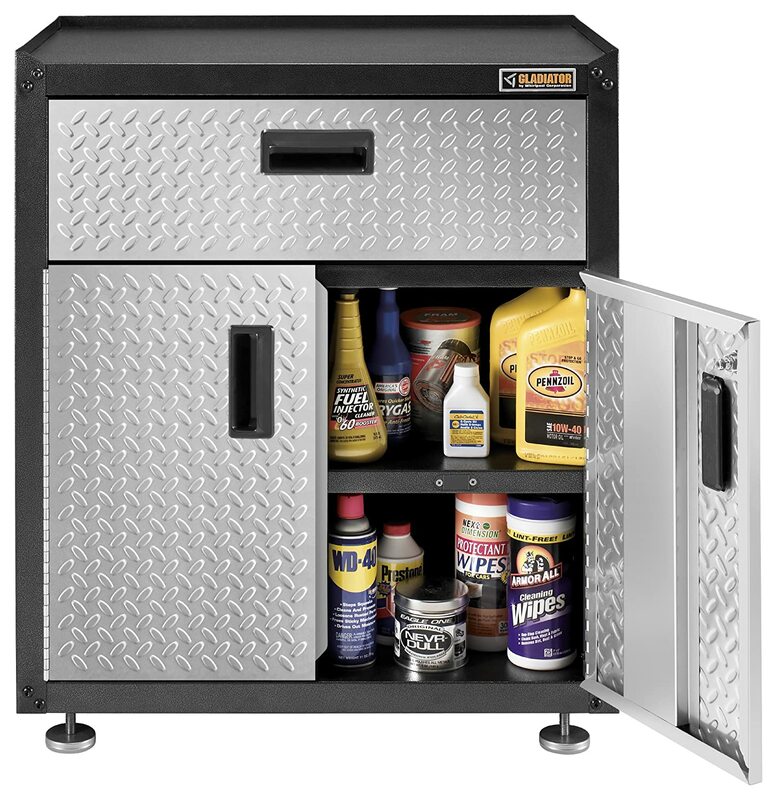 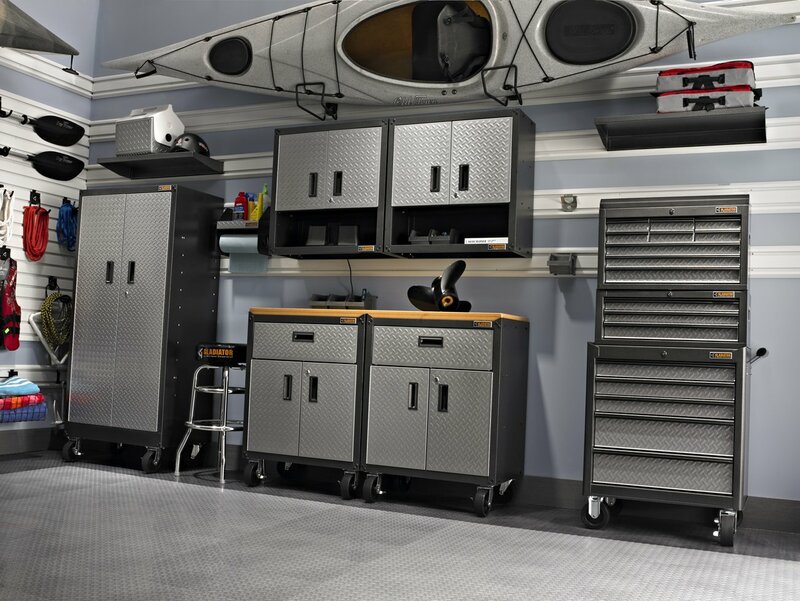 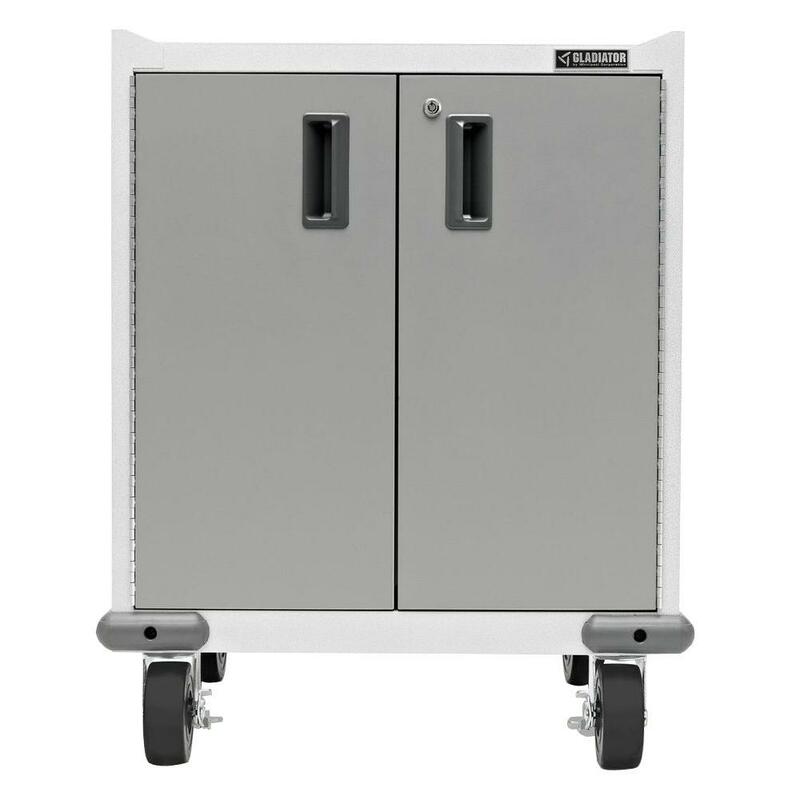 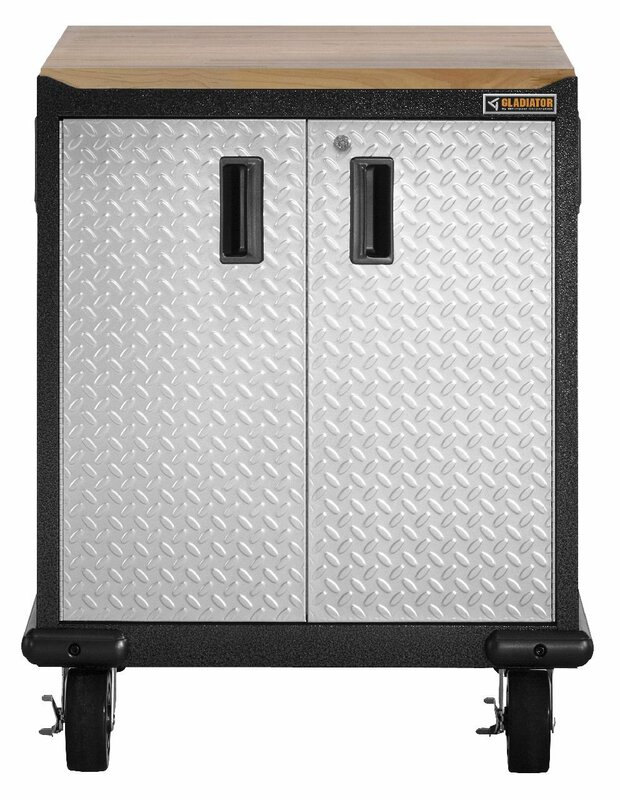 Gladiator Garageworks Gagb28kdsg Ready To Assemble On Sale - The Gladiator Difference The 28" x 31" x 18" Ready-To-Assemble Modular GearBox provides quick and easy organization to your garage. 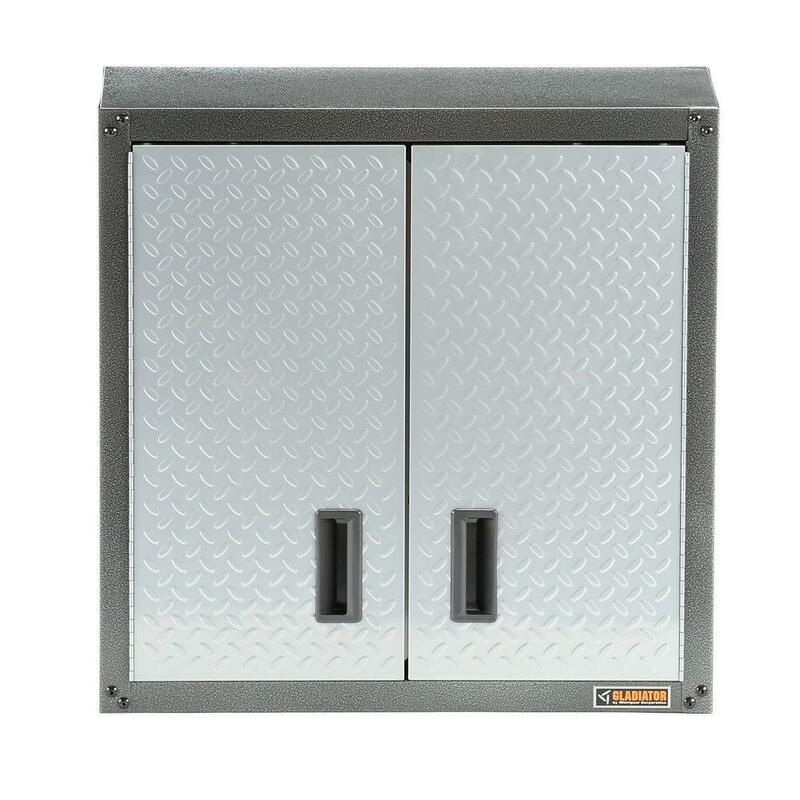 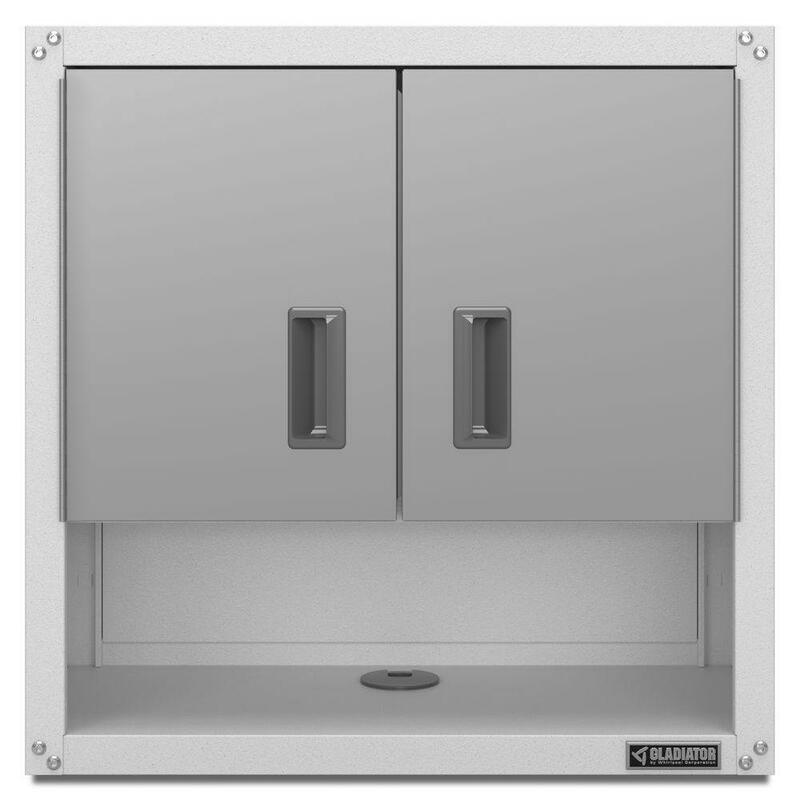 Behind the locking tread plate doors lies an adjustable shelf capable of supporting up to 45 lbs. 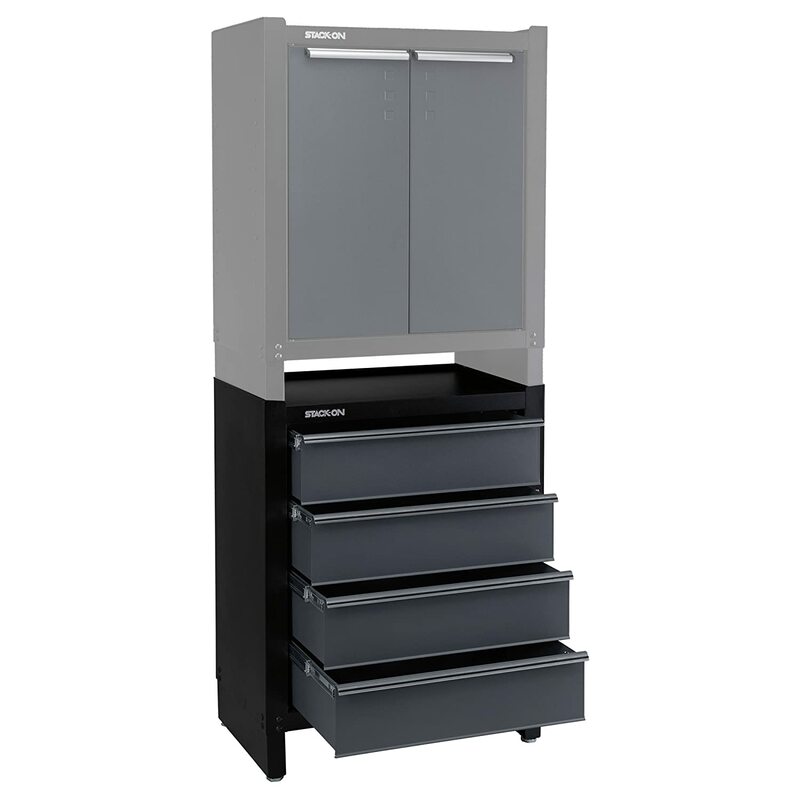 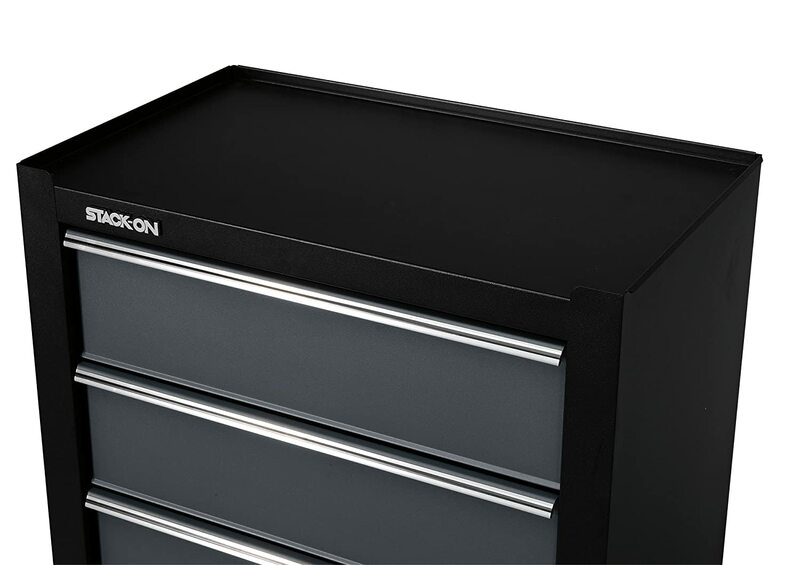 Located near the top of the Modular GearBox is a ball bearing sliding drawer for added storage flexibility..